Last year I was privileged to introduce you to Dayle Doroshow and her amazing mixed media work that features polymer clay. Well, she hasn't been sitting around resting for the past year, that's for sure. Check out her new work. Dayle has a new book too, called Creative Sparks. Very cool! Also, during the months of June and July 2012, Dayle will be leading mixed media workshops to FRANCE! If you've ever wanted to go, don't miss out! I have always been intrigued and excited by the mystery of ancient cultures and other countries. Dreams of archaeological ruins and travels to far off places have influenced my artwork from the time of my studies in traditional ceramics in New York City. 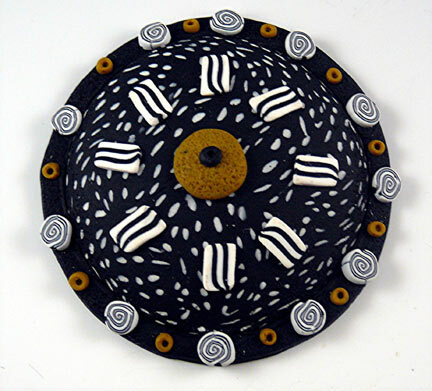 Upon discovering polymer clay in 1994, I’ve enjoyed creating and learning new techniques with a pioneering medium while still reflecting my passion for the magic of past civilizations and their artisans. Recent work is inspired by and using textiles along with polymer clay. I'm using fabric to inspire surface designs on the jewelry and also creating large fabric collages that incorporate polymer embellishments as part of the overall design. Several new pieces are on my blog ad will soon be in my new online shop. 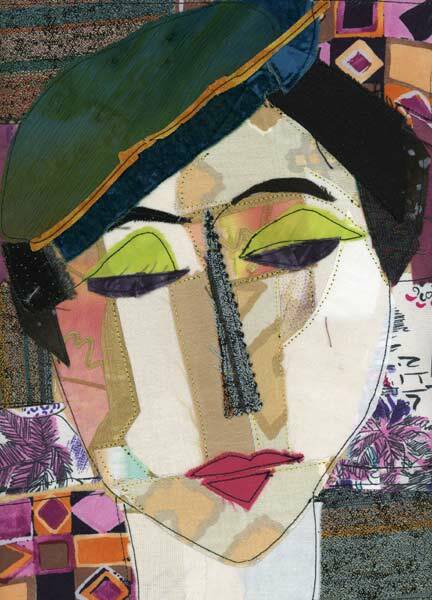 I enjoy sharing my love of creating with mixed media and teach many workshops across the country and in France. 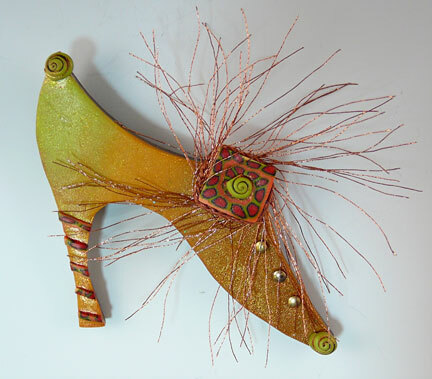 Workshops range from one day to five days and are usually focused on a theme or series of mixed media techniques.